Easter is one of my favourite times of year after Christmas and Valentines Day. Mostly because of the chocolate but also to reminisce over childhood memories of Easter Egg hunts and happy family times. 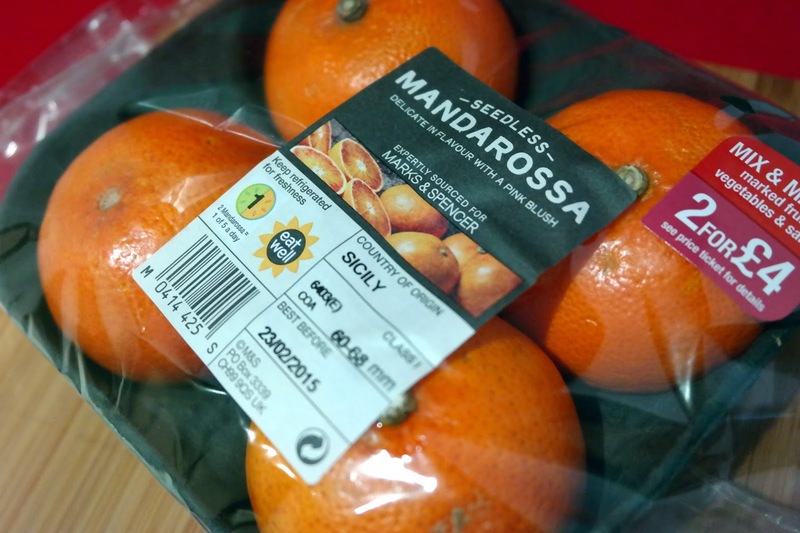 Marks and Spencer were very kind to send us some of their favourite Easter treats from their range this year to try. So this is quite the talking point this year. 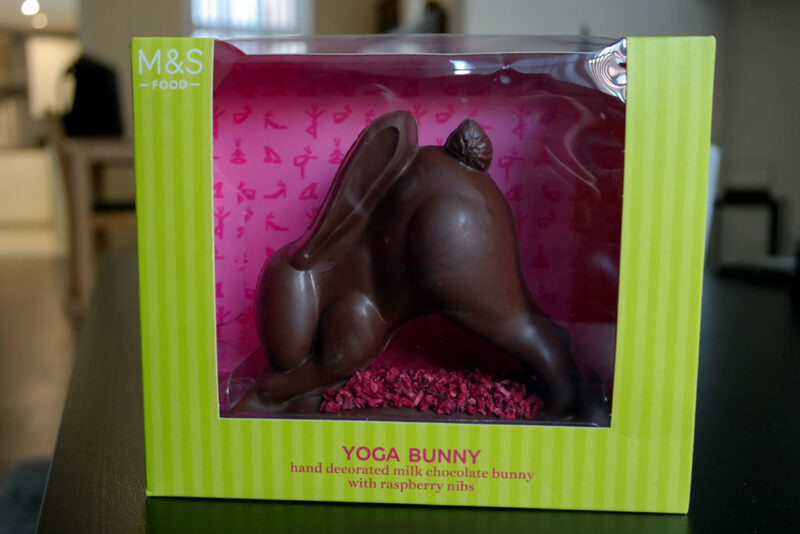 The Yoga Bunny. Taking social media by storm. This cute animal like figure in a yoga post is bound to get a conversation started. 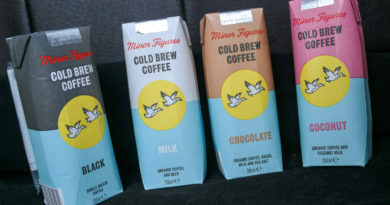 I got the last one on the shelf so it’s in high demand so keep an eye out for this one. 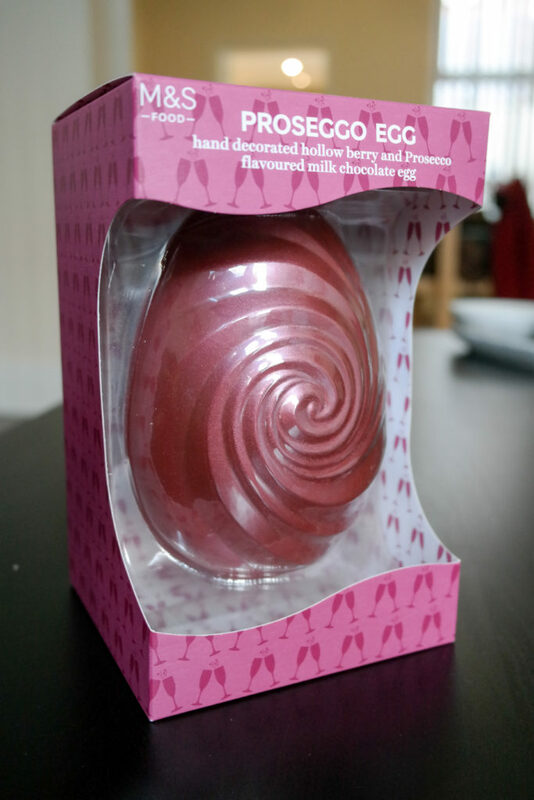 It is a hand crafted milk chocolate egg with raspberry nibs. Well the good news is that Marks and Spencer have a good selection of eggs all set at a standard price of £5 which I think is just fantastic. Marks and Spencer chocolate is some of my favourite out there so I think this is well worth the price point of £5 for a whole egg plus the little extra treats that come with them. 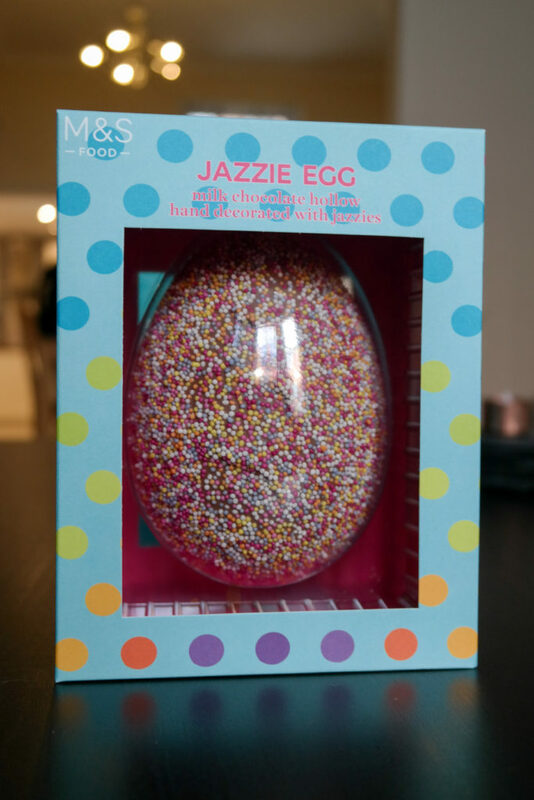 Our favourite egg this year is the one you’ll have seen on TV and social media, the Prosecco Egg. This is a hollow berry and prosecco flavoured milk chocolate egg. In a beautiful striking pink and unusual twisted shape. 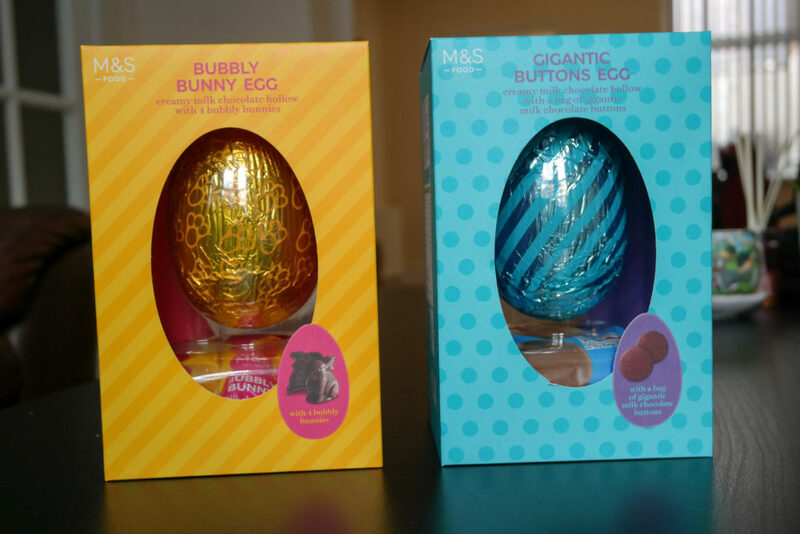 Among the eggs which are £5 are Bubbly Bunny Egg, Gigantic Buttons Egg, and Jazzie Egg. 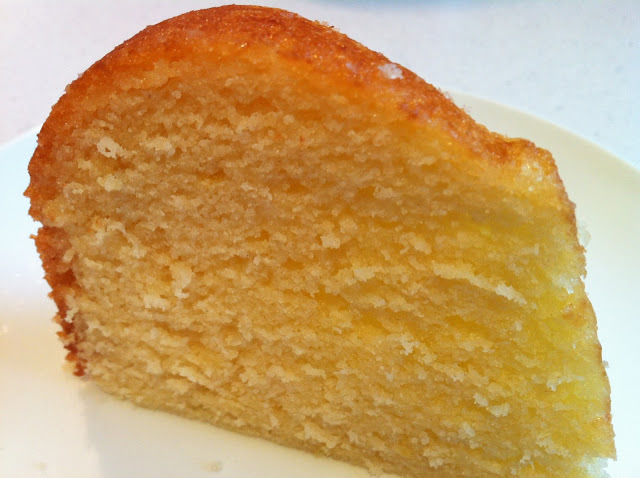 Great for kids as they come with little treats included. Looking for something a little different and eye catching? 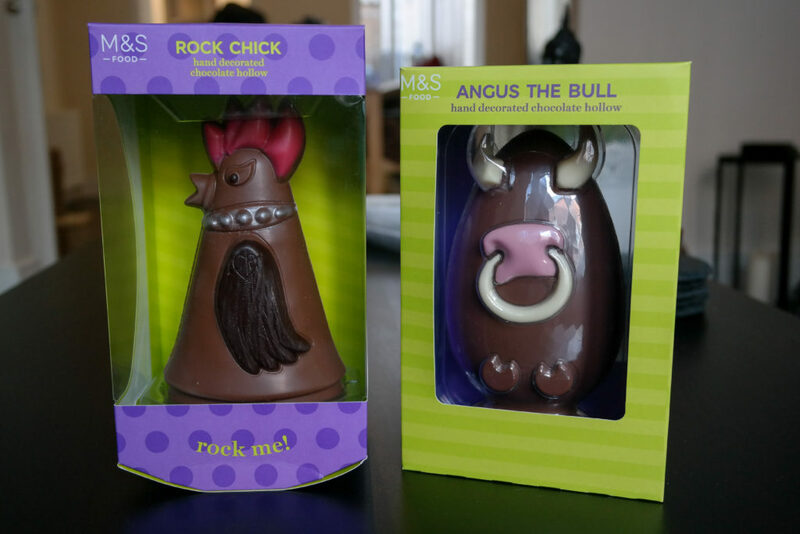 Why not try Angus the Bull egg or the new Rock Chick egg. 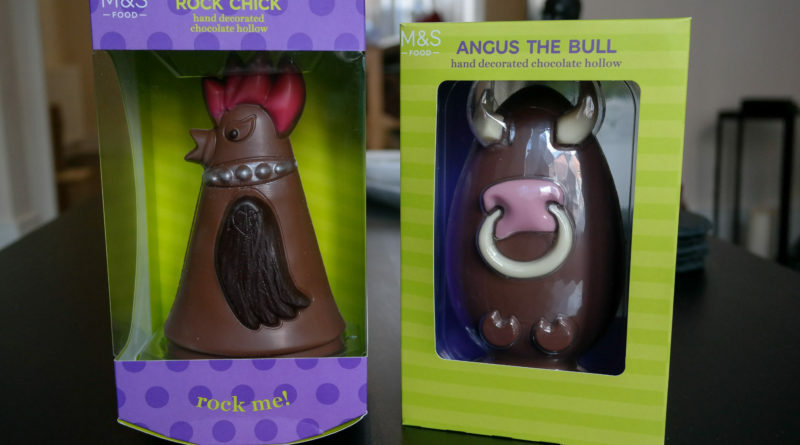 Rock Chick is a very cool egg, even the box ‘rocks’ ! Rock Chick is complete with punk rocker hair and even a tattoo engraved on her arm! 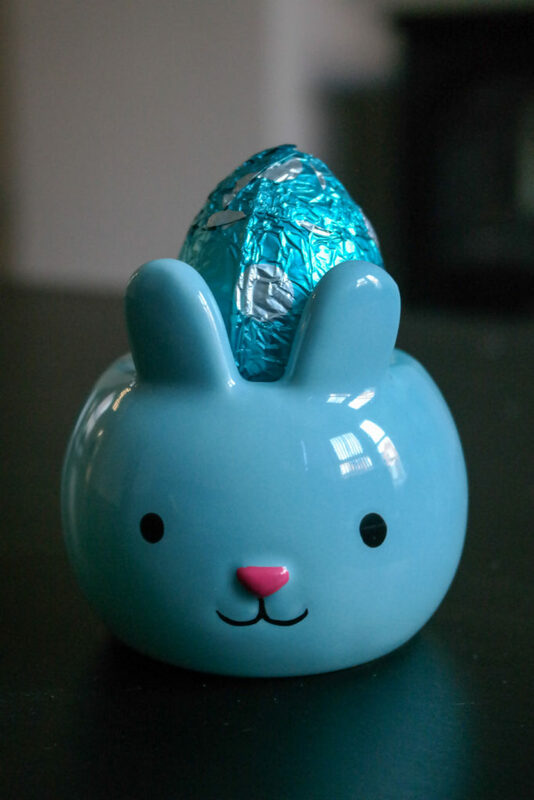 Just look at this super cute little egg cup complete with small milk chocolate egg. I believe these come in two varieties, a sheep and a chick. This is great as it can be re-used obviously all year round. There is also the Chirpy Chick which is a small hollow milk chocolate chick, a great mini gift for someone. 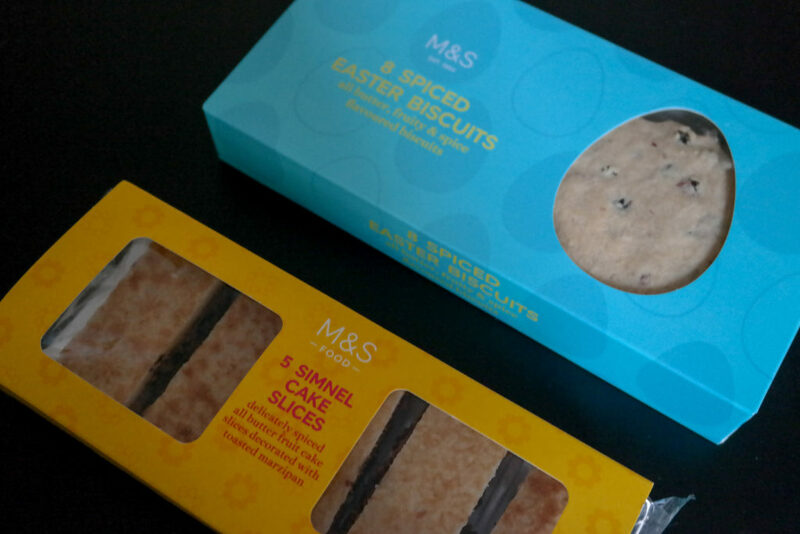 If you’re after something to have with a cup of tea then we highly recommend these beautiful Simnel Cake slices or Spiced Easter Biscuits.